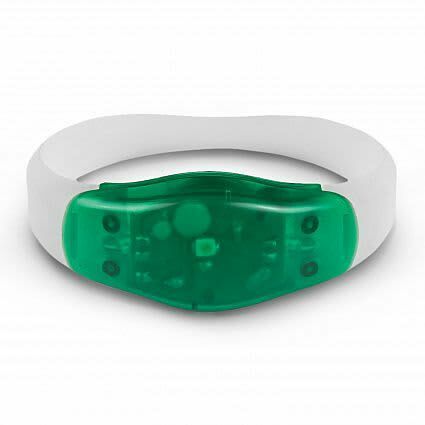 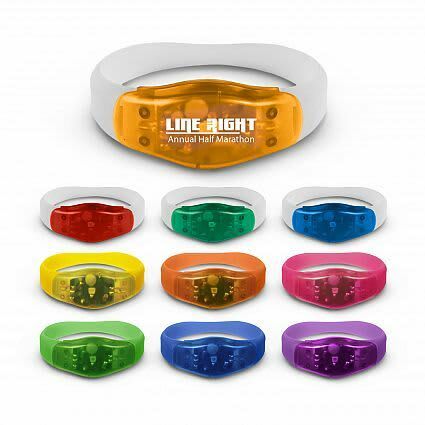 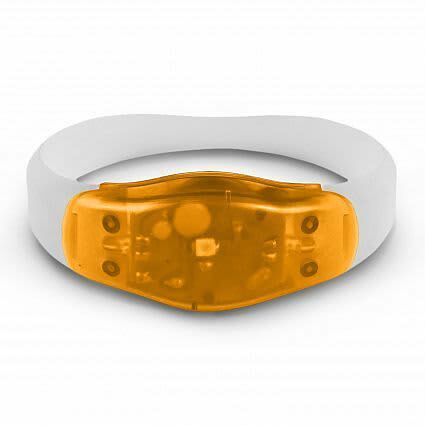 Fashion inspired safety wrist band with two light functions which is ideal for being seen after dark. 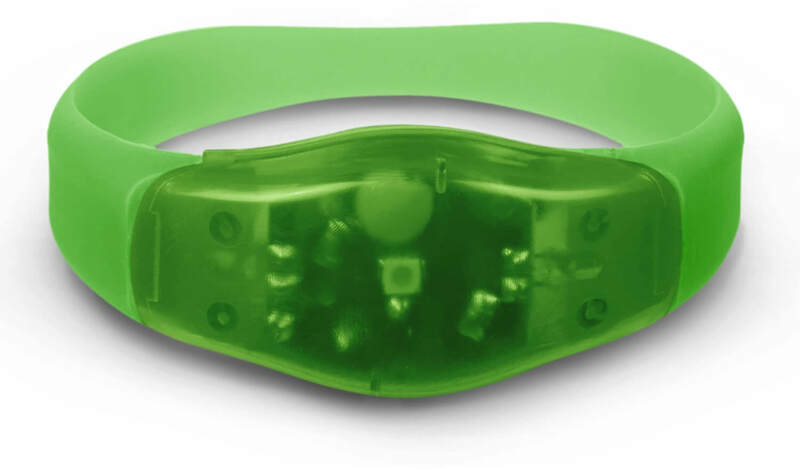 It is also a great fun item for night events and parties. Uses button cell batteries which are included. 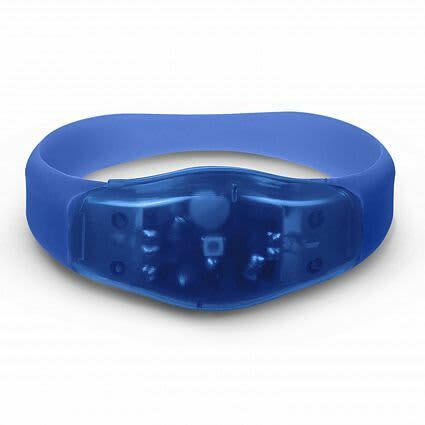 One size fits most people. Pad Print 25mm x 8mm (two colour max).